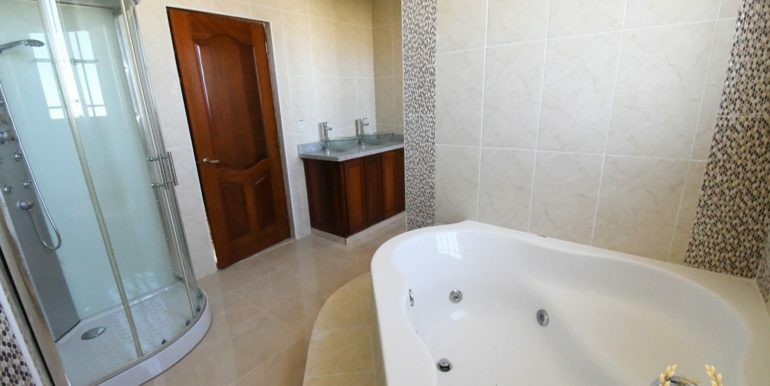 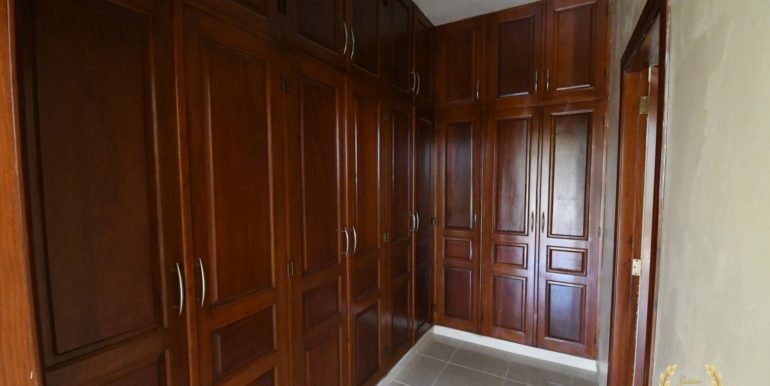 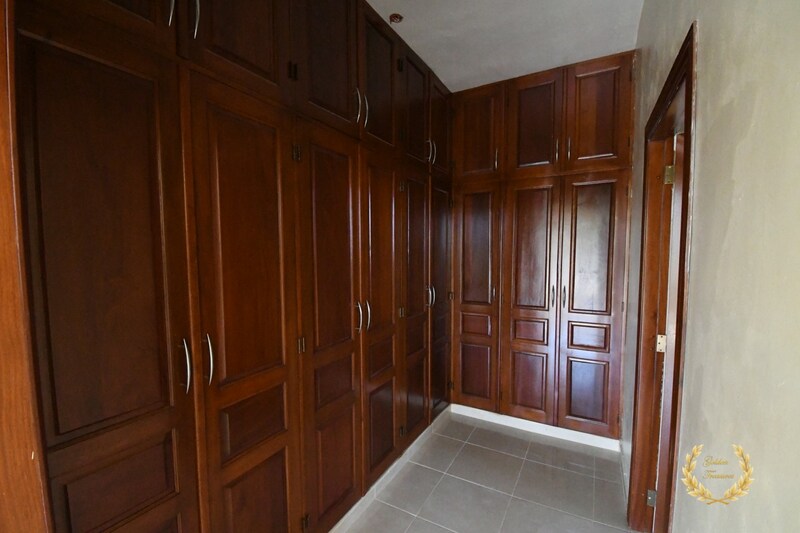 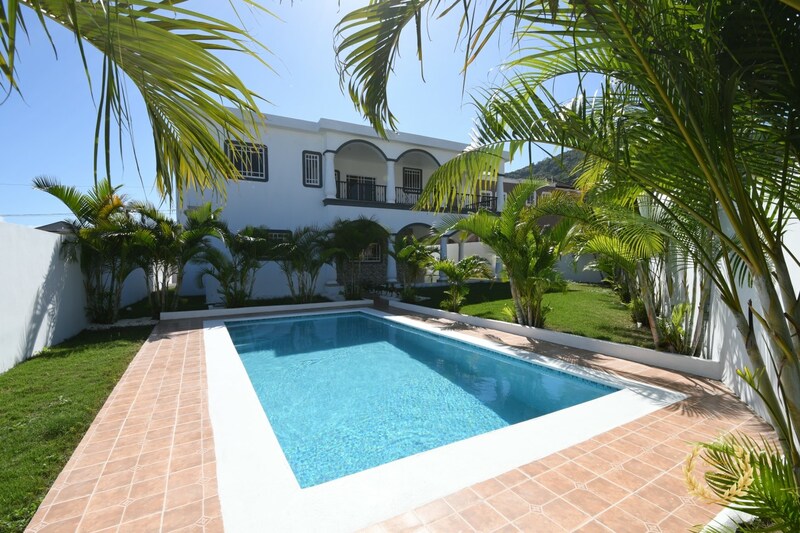 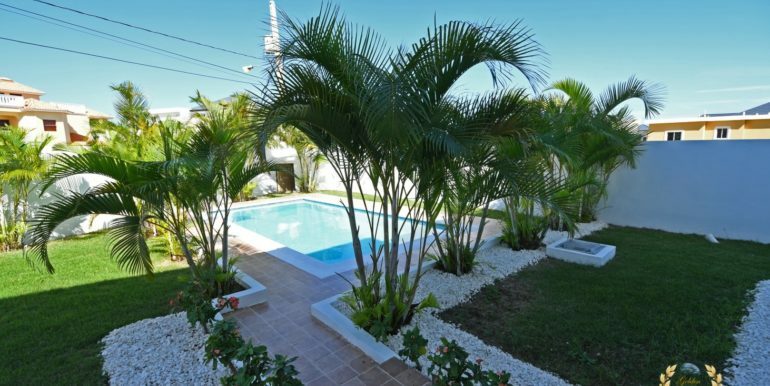 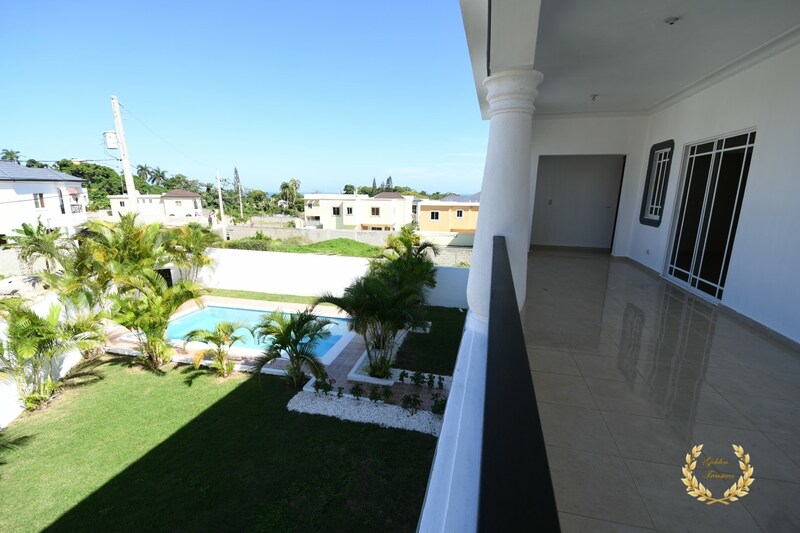 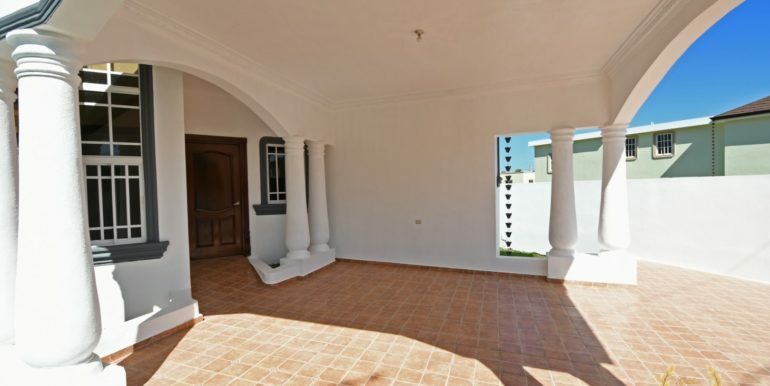 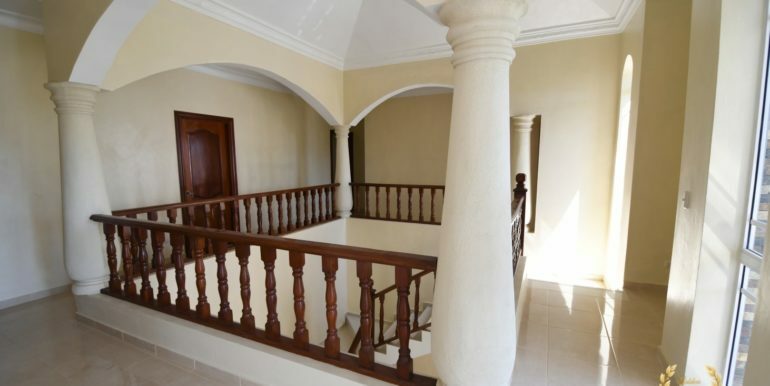 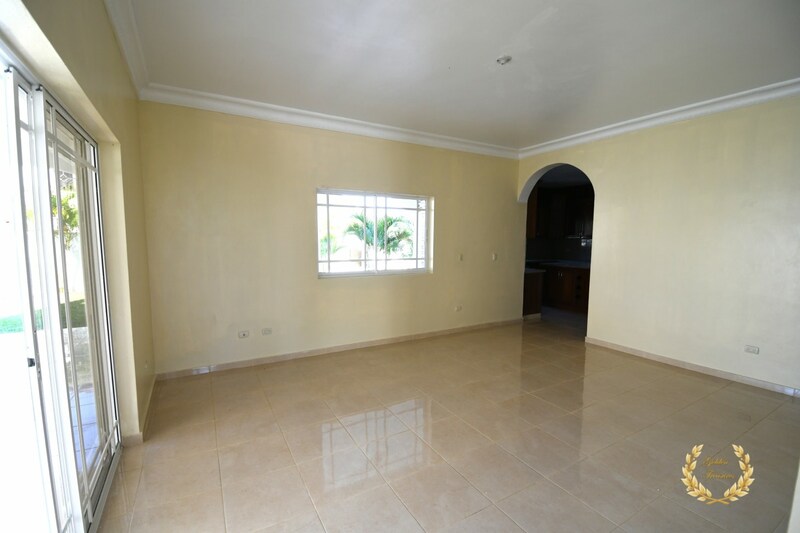 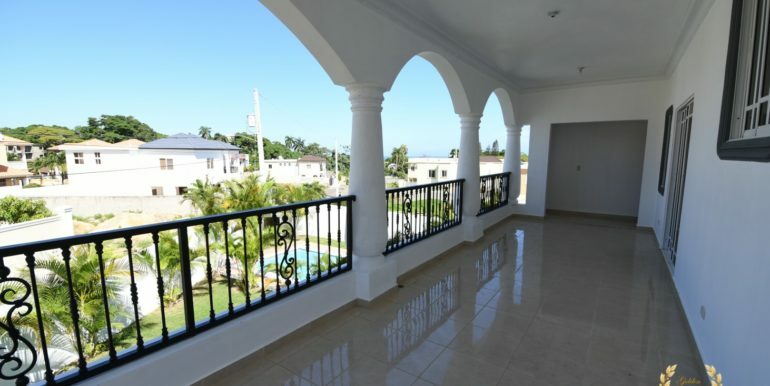 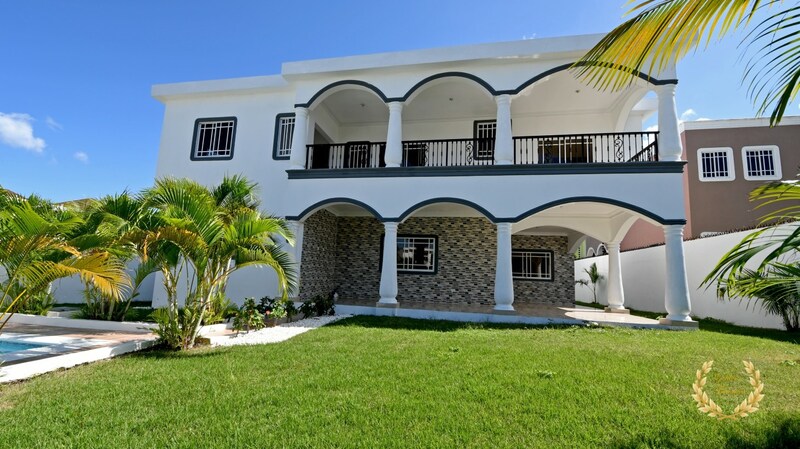 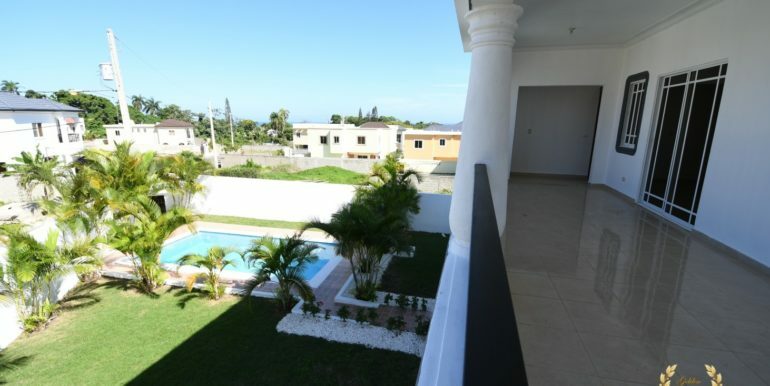 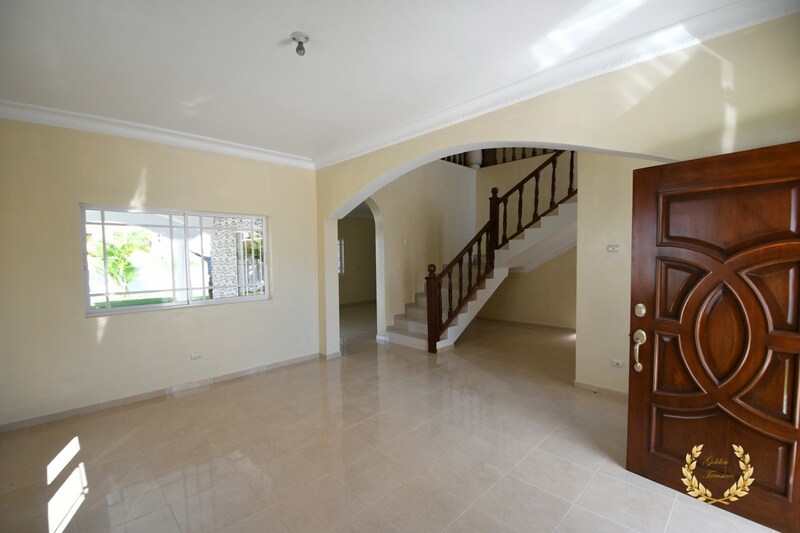 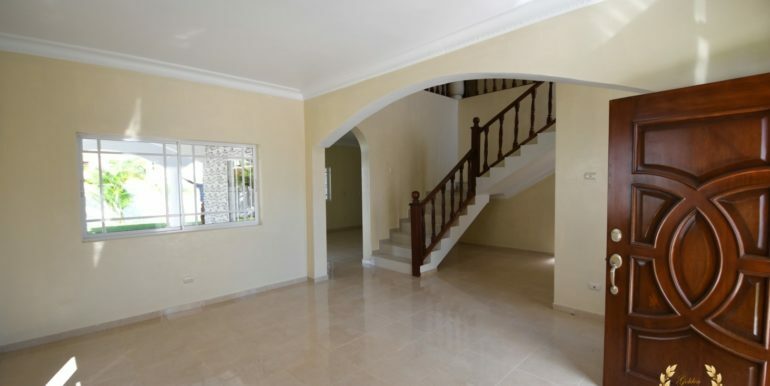 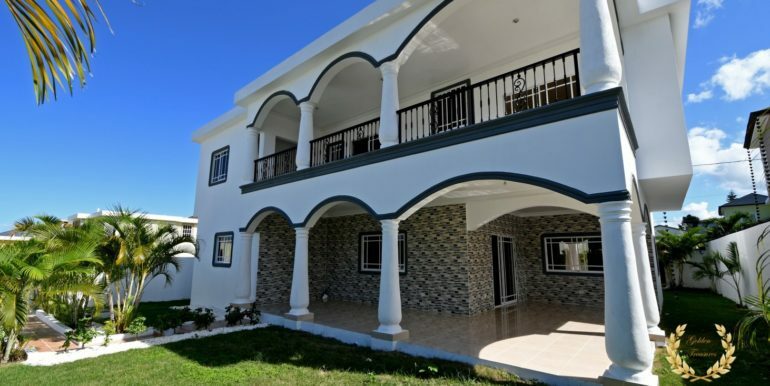 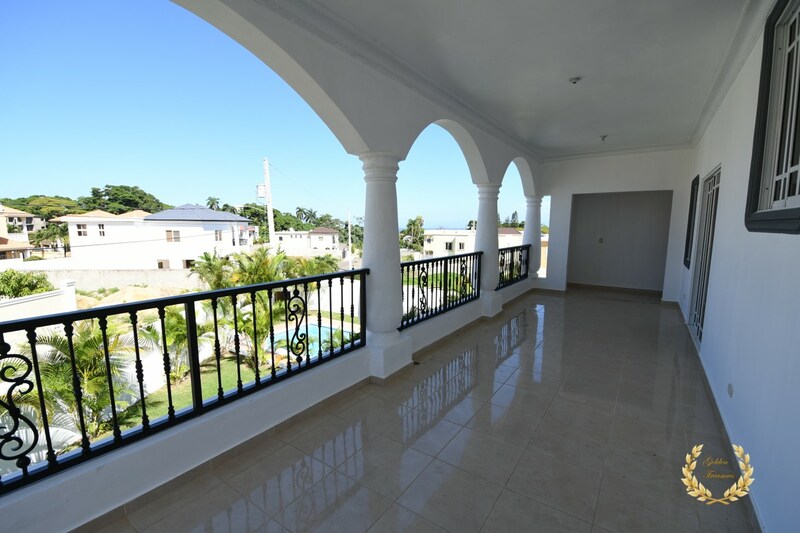 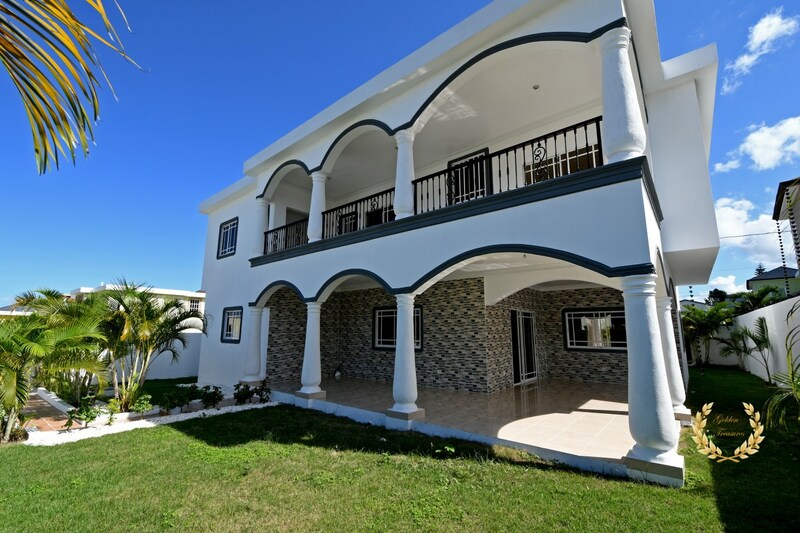 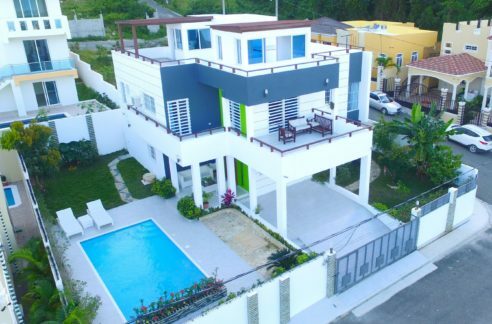 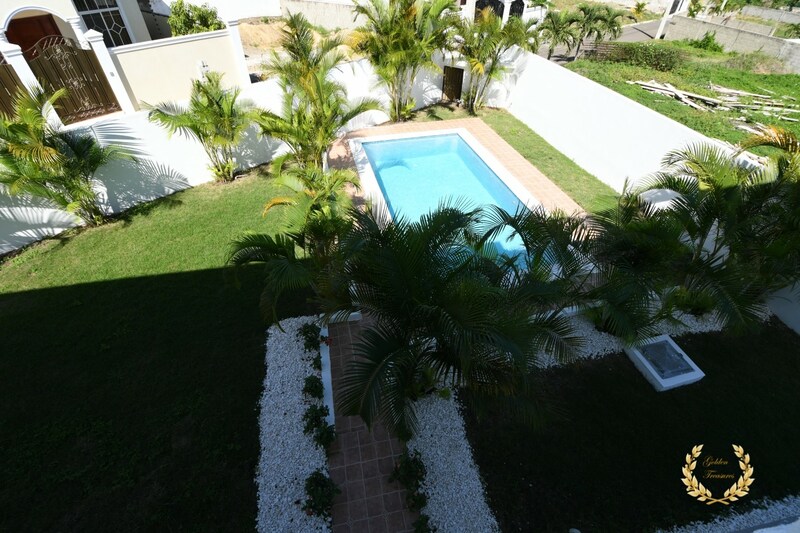 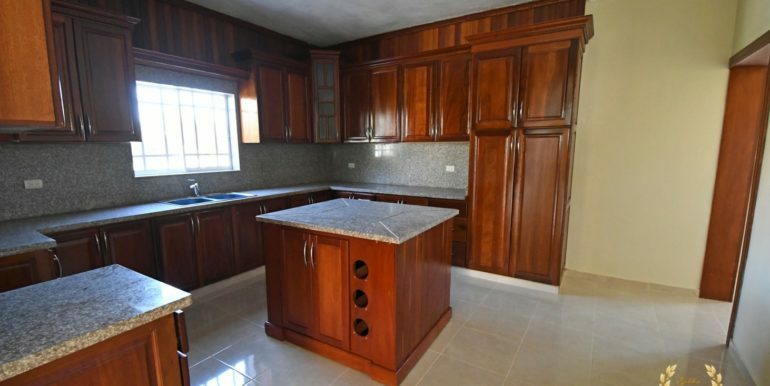 Rising up like the 3D model that preceded its creation, this beautiful 5 Bedroom House Sale Puerto Plata Dominican Republic is solidly built in a 2-level floor plan that includes several second floor balconies and living areas. 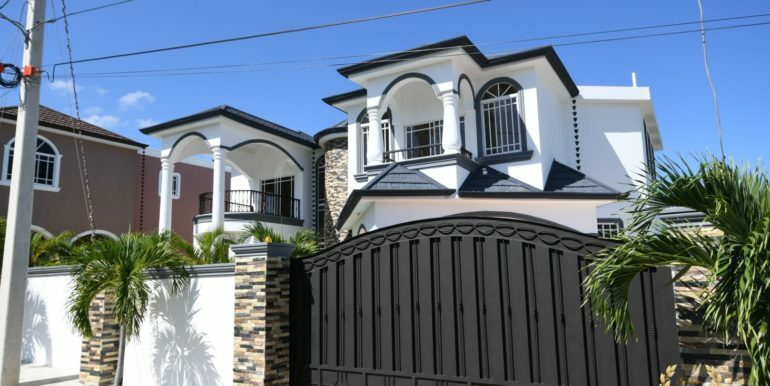 The facade shows Doric pillars and arches topped with crown molding in dark indigo color that contrasts with the all-white walls and ceilings. 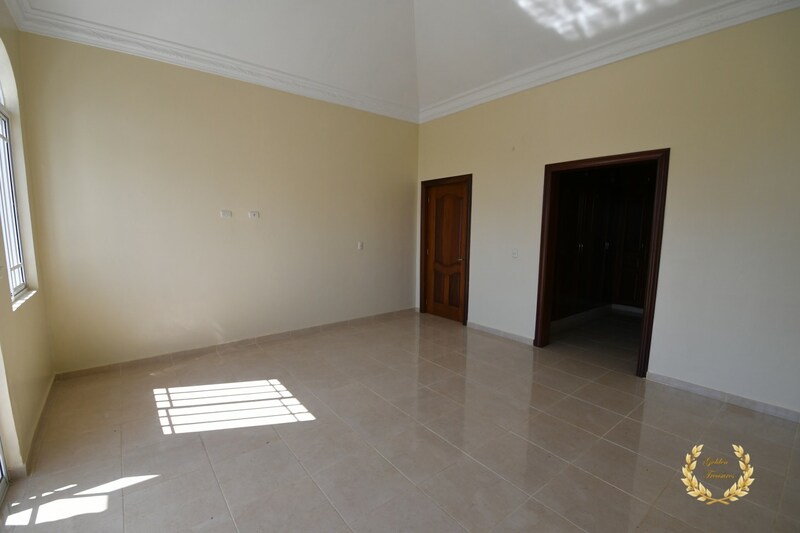 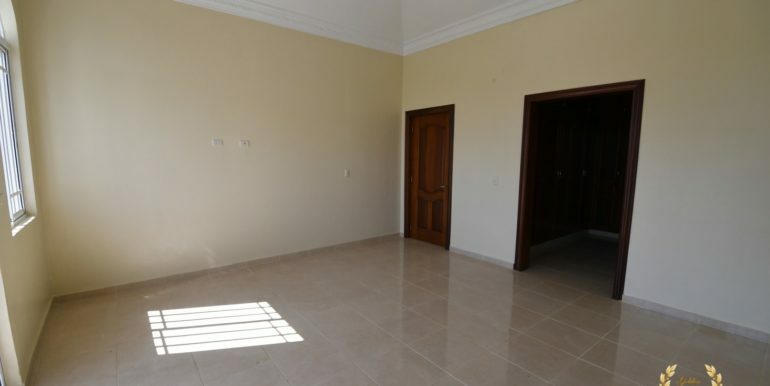 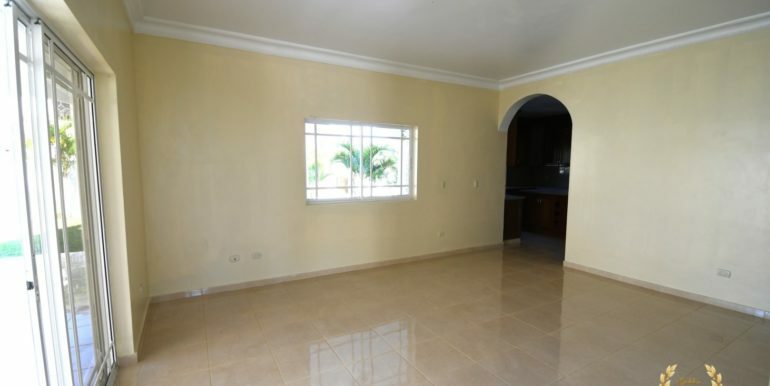 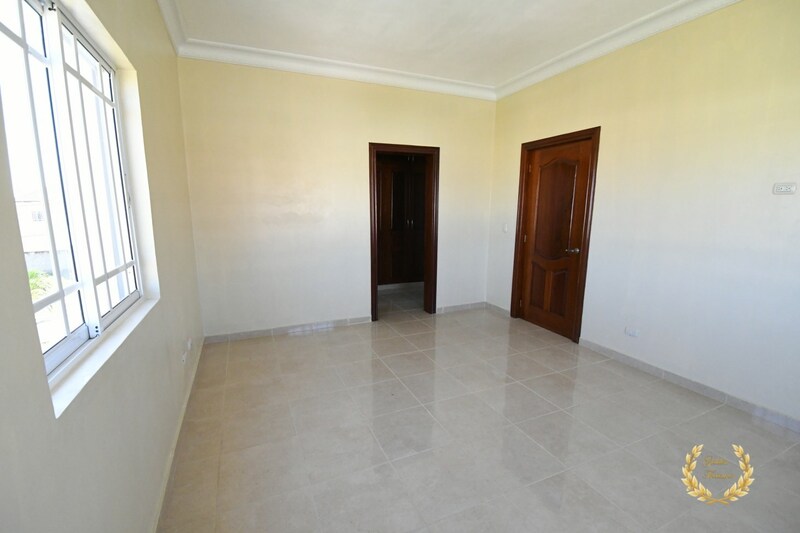 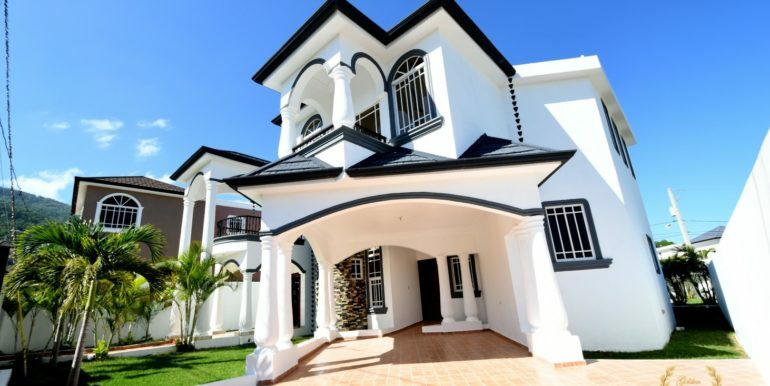 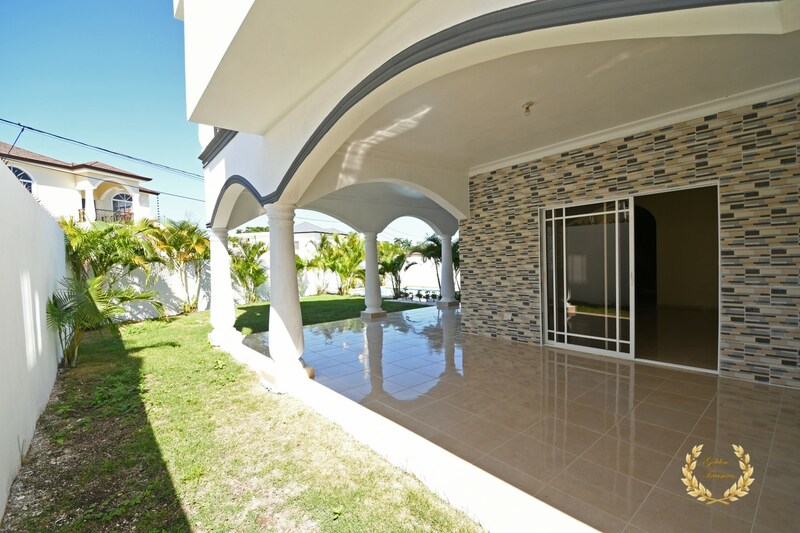 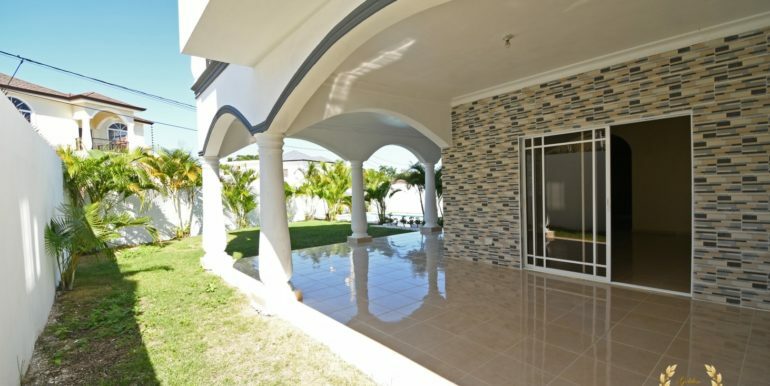 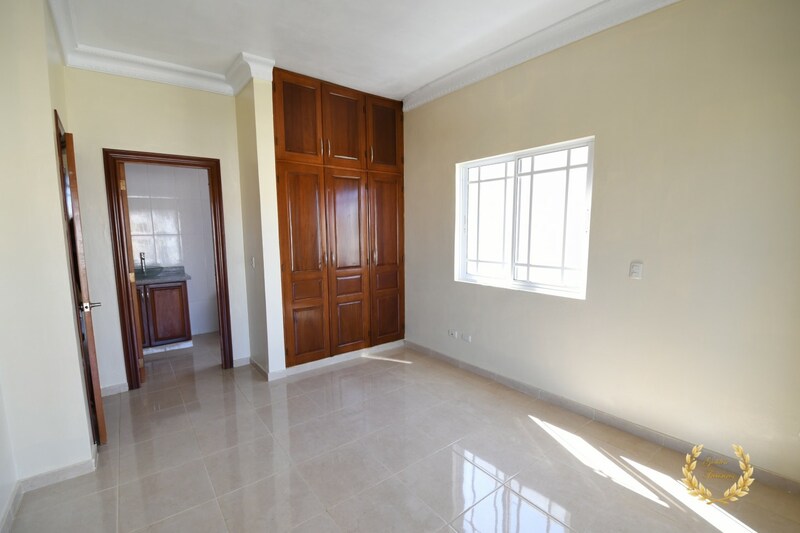 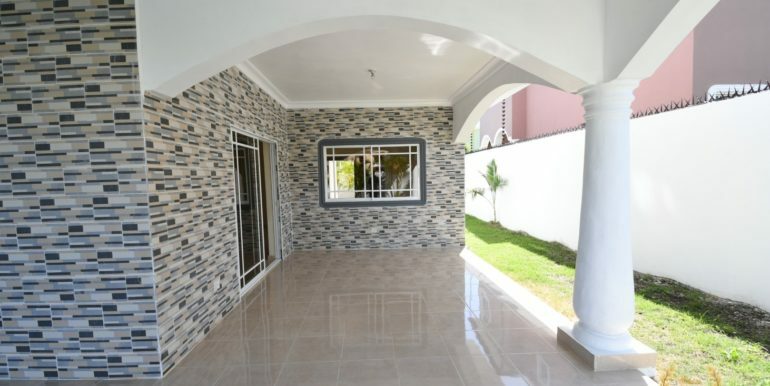 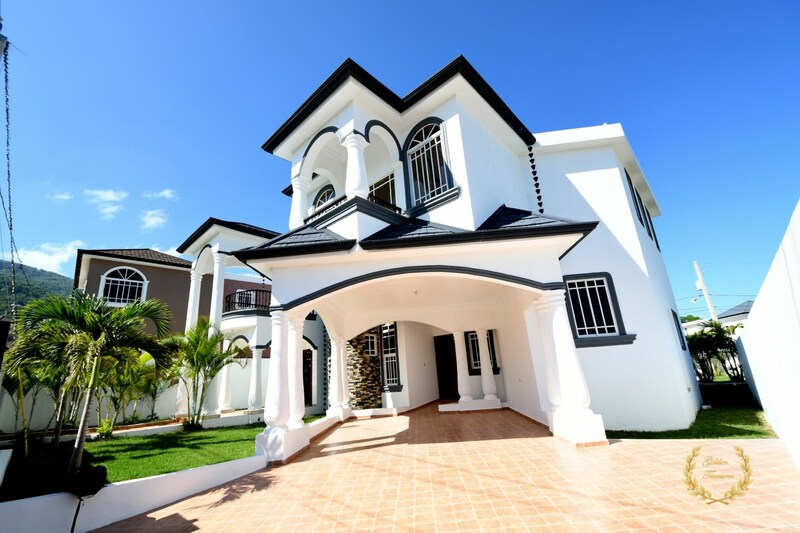 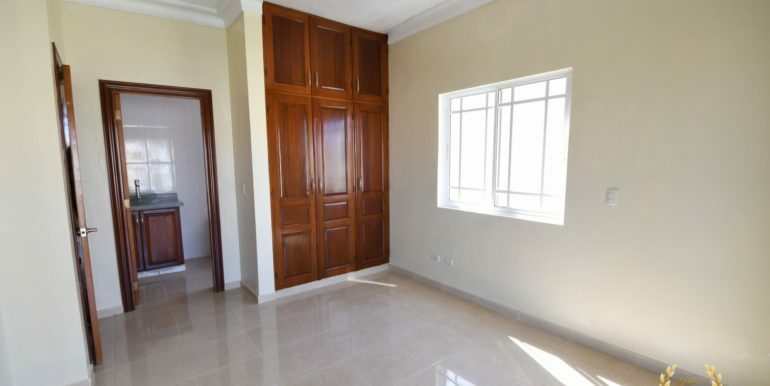 These days there is a boom of neoclassic motifs in modern homes of Puerto Plata, notice the rock accent wall and French windows that go with this one. 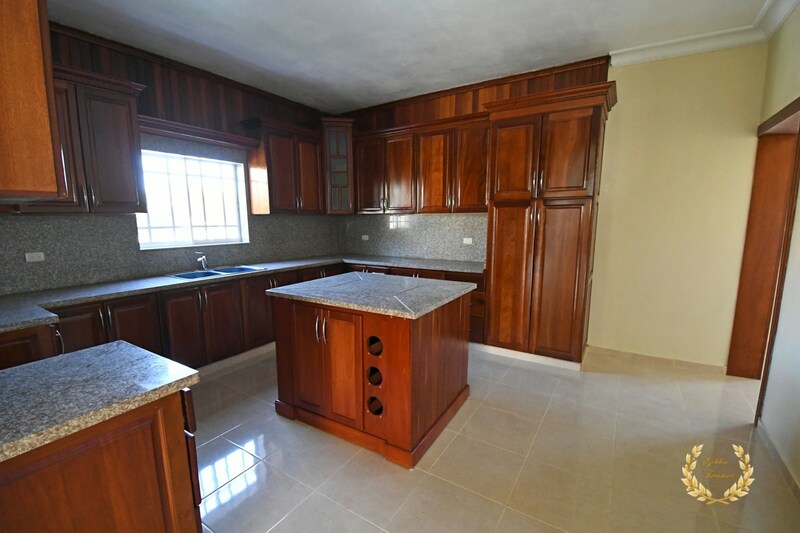 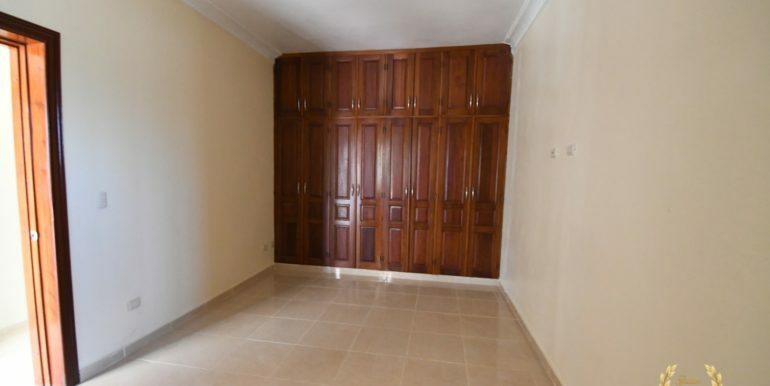 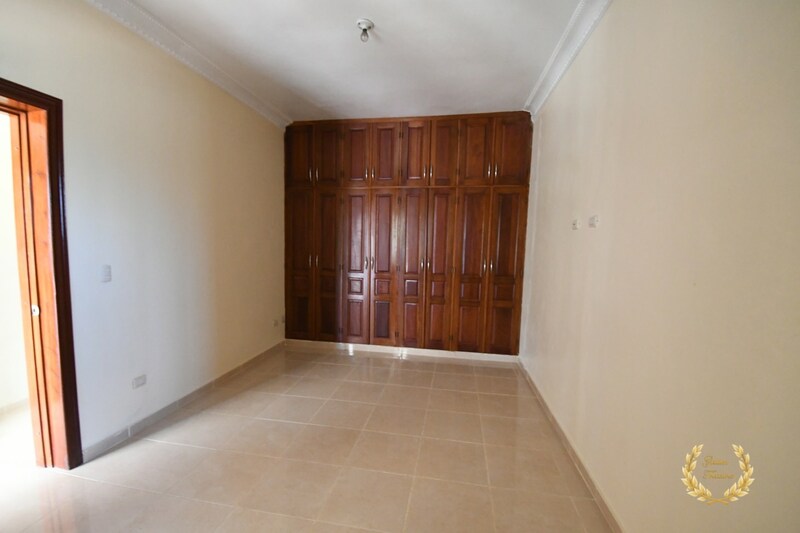 Inside, the house has an ample living room that connects to a dining room which in turn connects to the oversized kitchen. 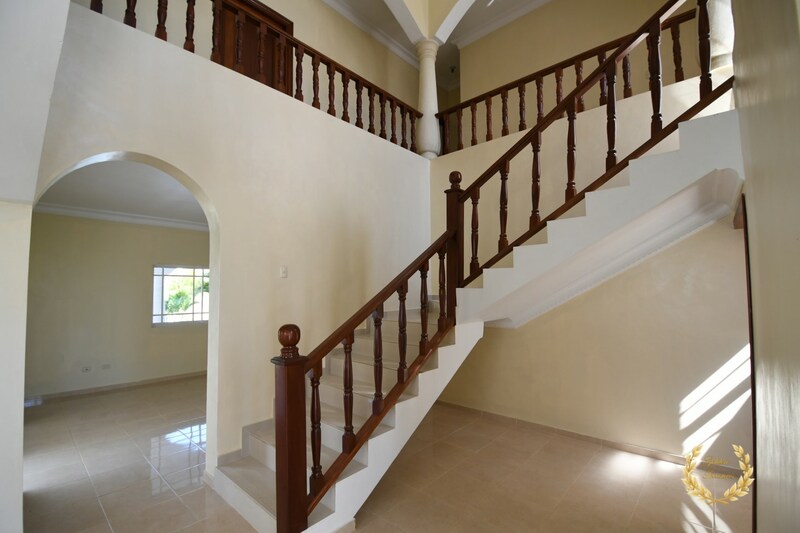 The house has 1 bedroom in the first floor, and 4 in the second level. 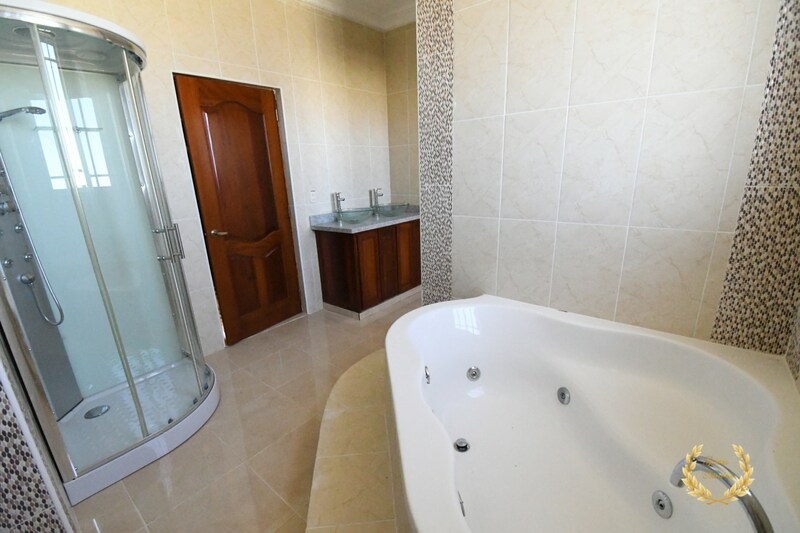 The master suite is quite spacious, and includes its own ensuite bathroom with Jacuzzi, cabin shower and double glass vanities. 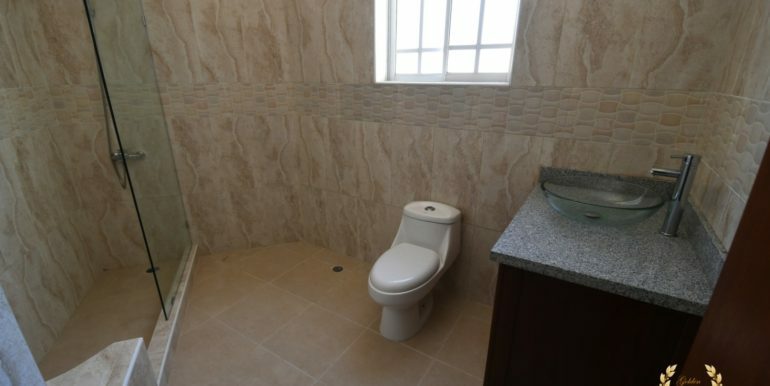 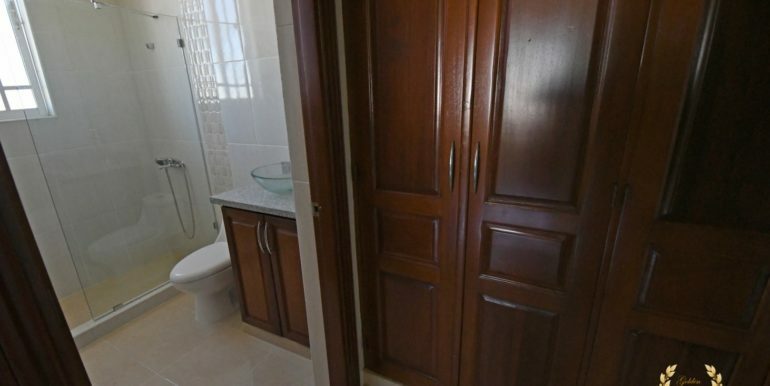 The guest suites also include their own designer bathrooms with fine finish and fixtures. 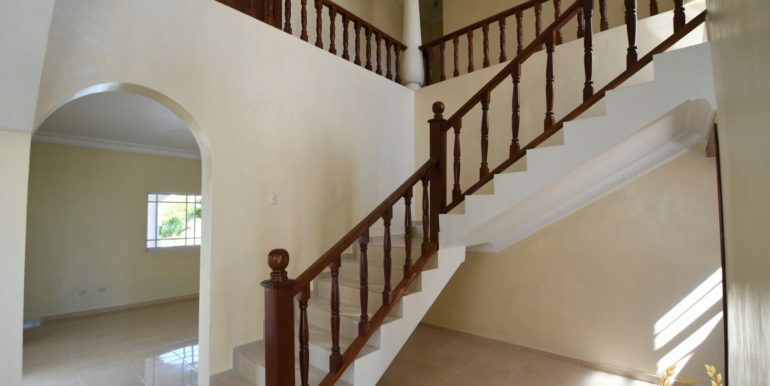 The house inside has a Spanish colonial feel with the second floor corridor centered around the wooden balustrade. 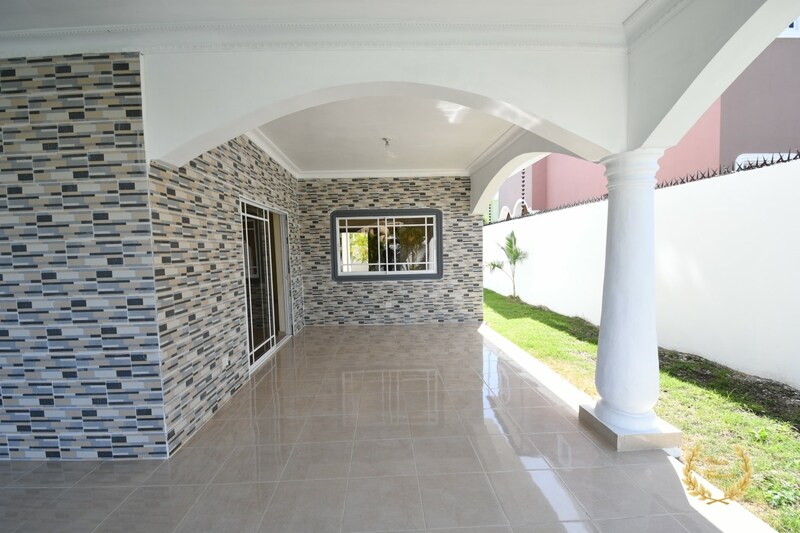 The back of the house is perhaps the best entertainment area of it, as it has a covered terrace in the first floor, a garden area and a swimming pool. 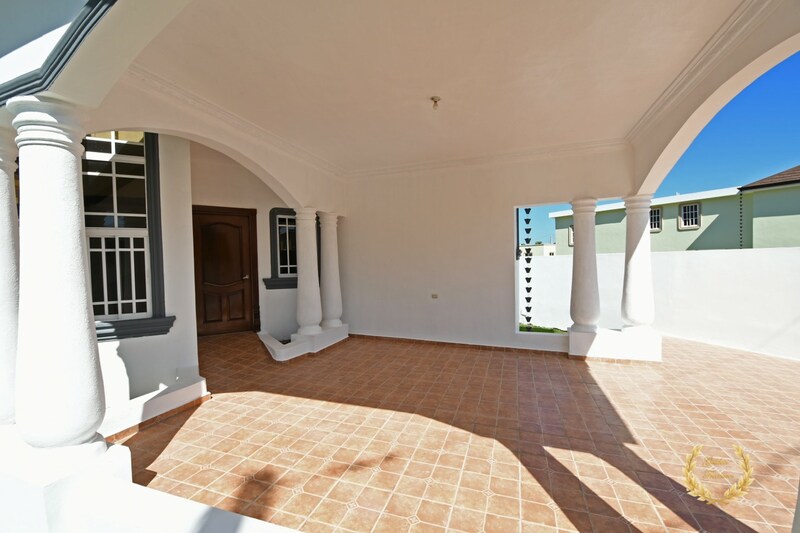 The second level has a veranda with plenty of space to gather friends and family, besides the space in the patio. 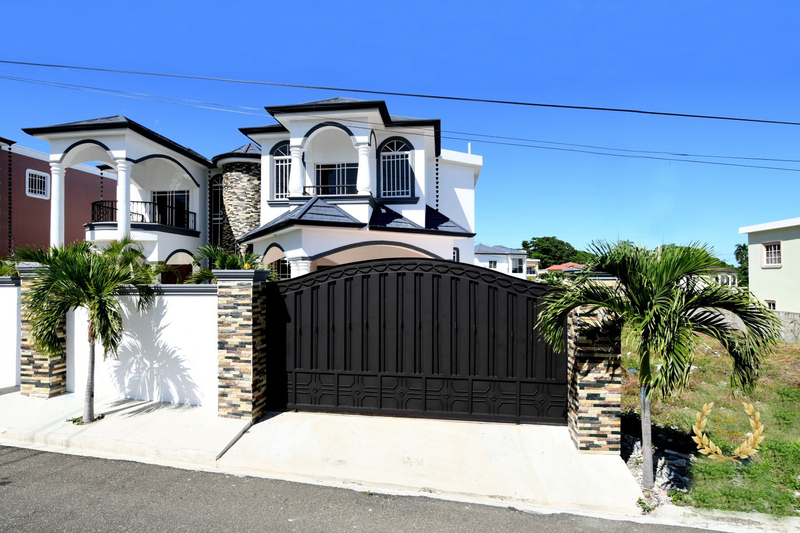 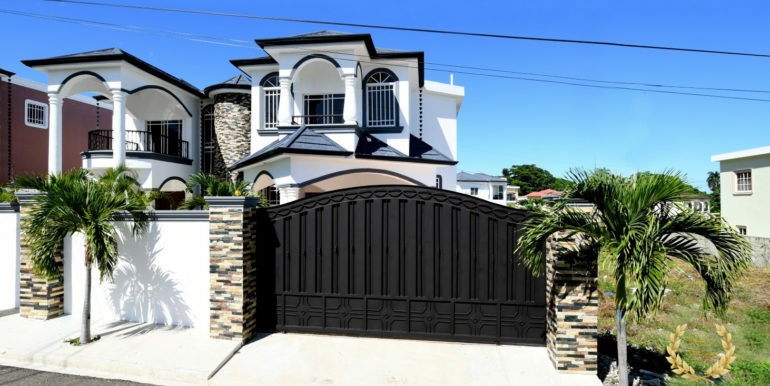 This house sits on a gated community and has ocean view, in one of the top 3 places to buy a house in Puerto Plata, Dominican Republic. 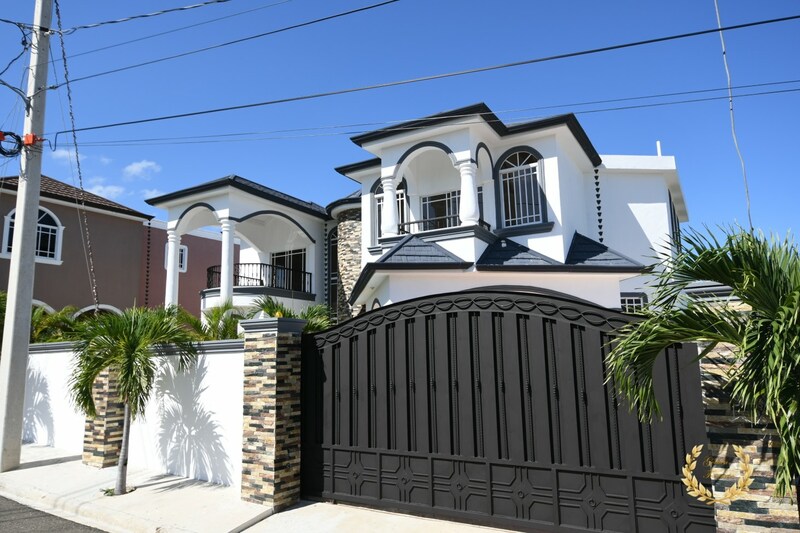 All the neighboring homes are new, which will keep the value of the homes sold here for a long time. 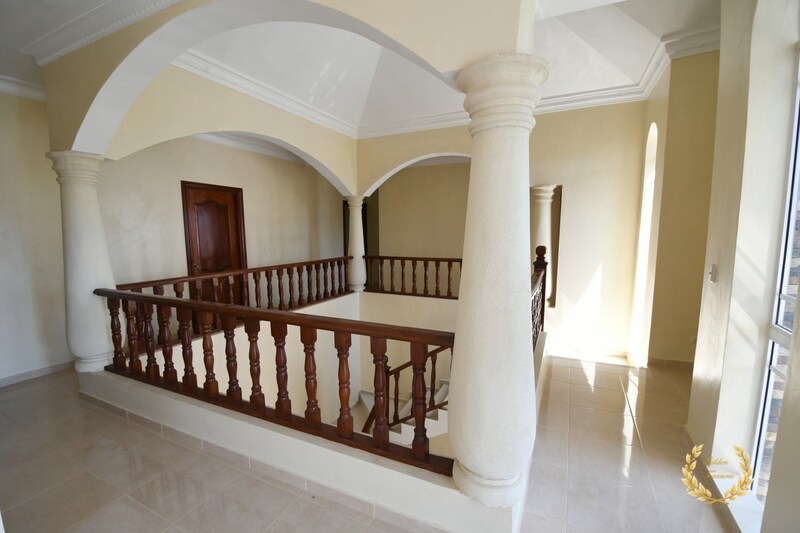 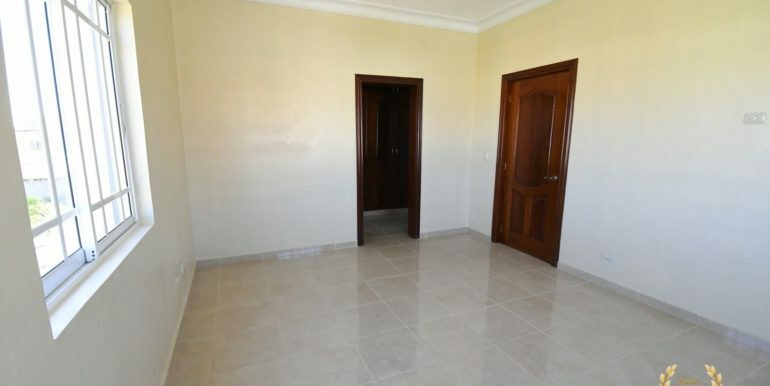 The house has a water cistern, wrought iron gate, beautiful facade and is ready, turn key with deslinde. 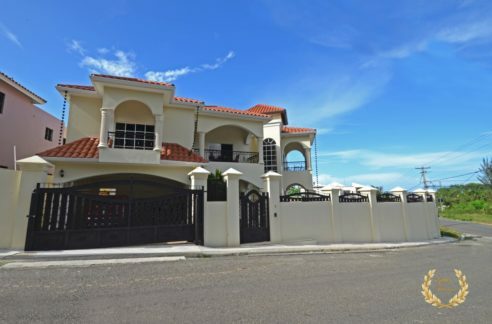 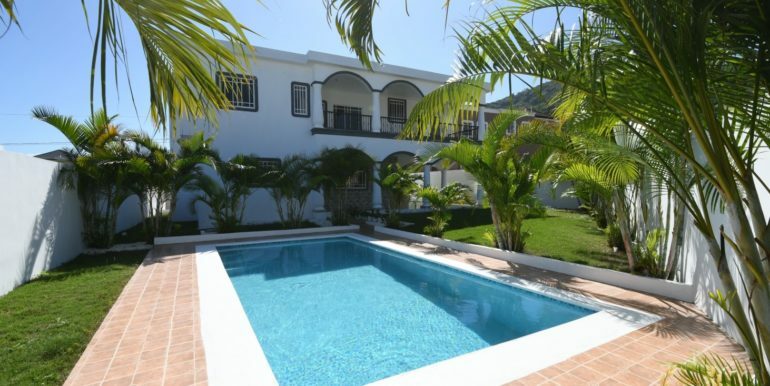 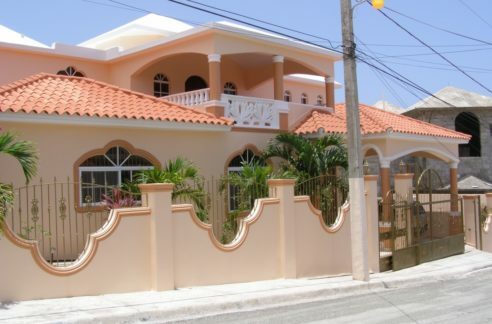 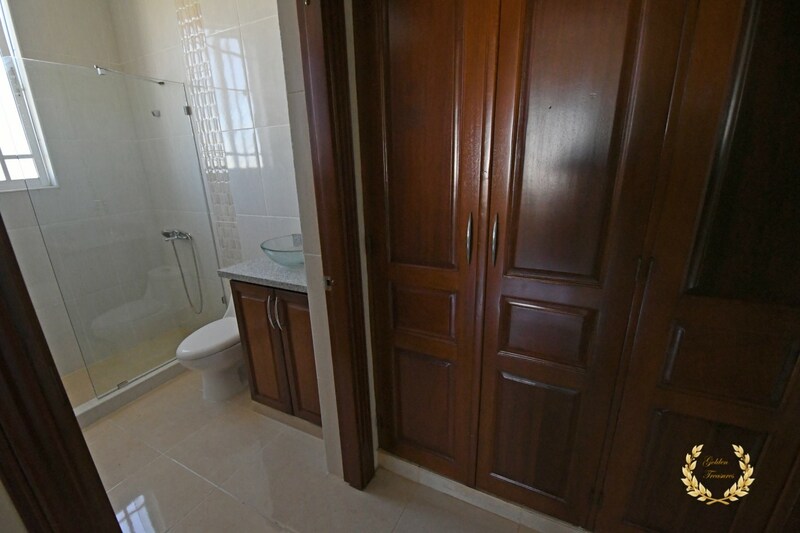 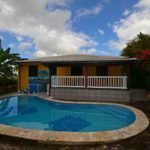 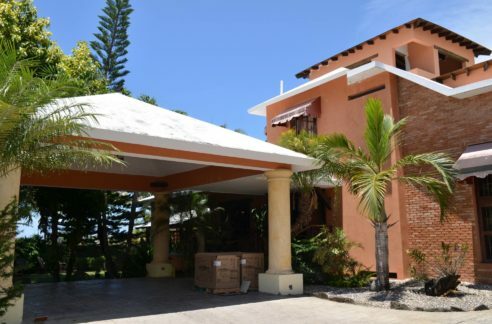 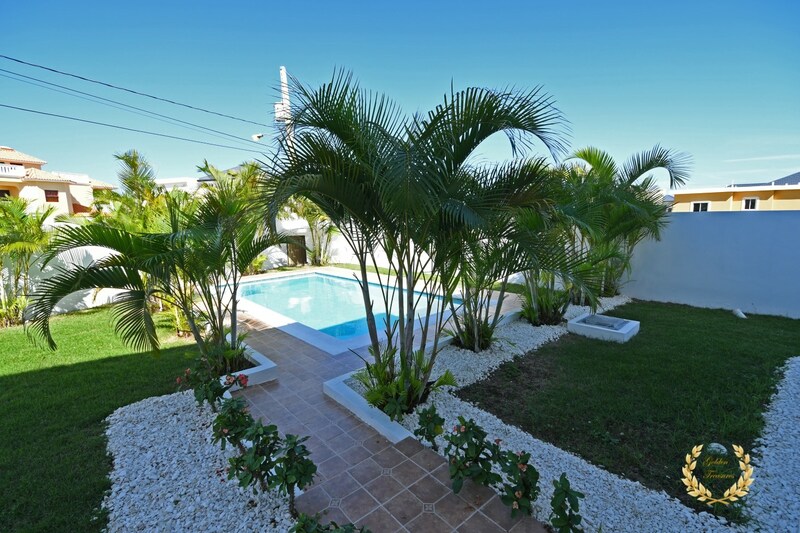 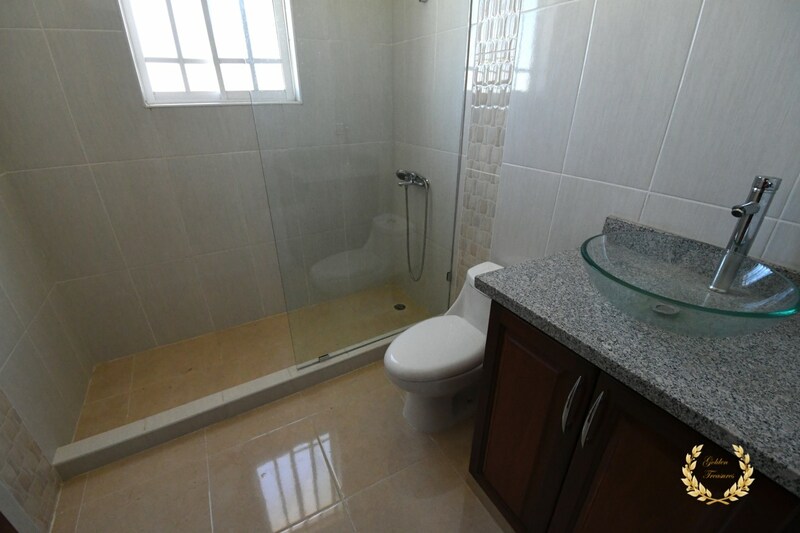 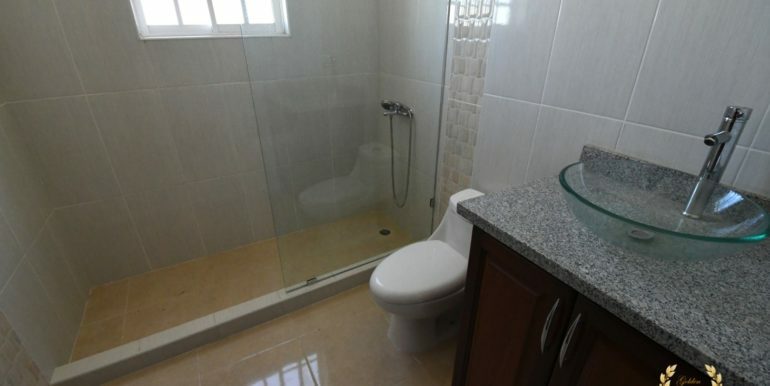 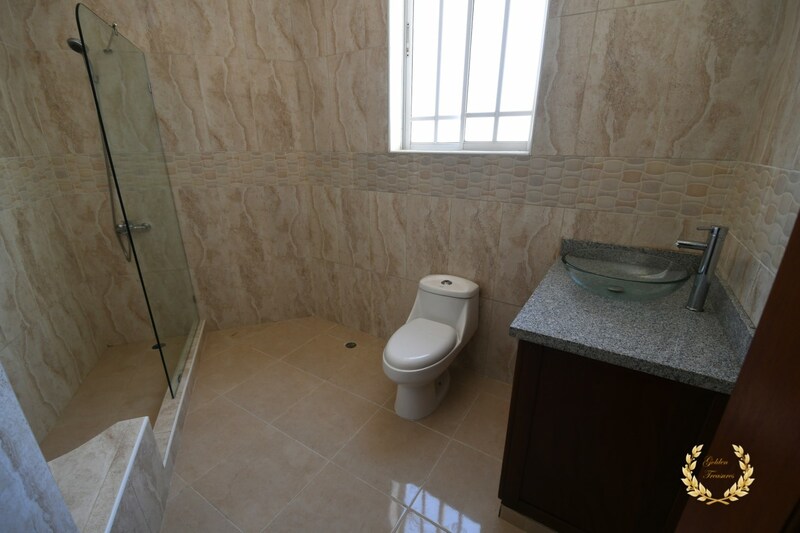 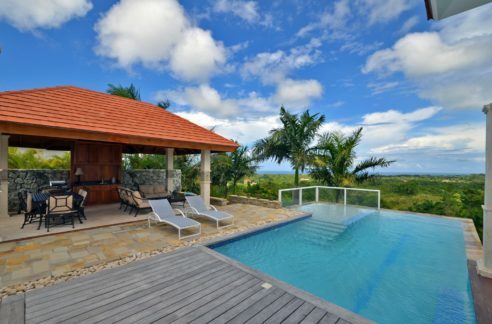 The house size is approx.478m²= 5145.149ft² and the land size633m²= 6813.555ft²; Puerto Plata beaches can be reached within 5 minutes from this house. 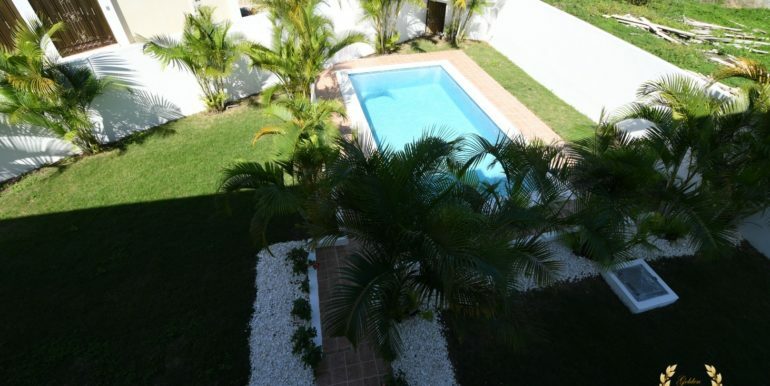 Other beaches such as Sosua Beach and Cabarete are just 25 minutes away by car.